If you're searching for a sporty new vehicle to upgrade your daily adventures around Orange County, then you'll be blown away by the new 2018 Subaru BRZ. Compare the new Subaru BRZ sports car to competition like the 2018 Mazda MX-5 Miata, 2018 Ford Mustang and 2018 Toyota 86 to see why so many drivers in Southern California are choosing this Subaru vehicle. Visit our Subaru dealership near Irvine, CA, to test-drive a 2018 BRZ and speak with our Subaru finance team to see how you can buy or lease a new Subaru! The new 2018 Subaru BRZ boasts a powerful SUBARU BOXER® engine, advanced safety features and first-class amenities that make it the clear-cut favorite in its class. A standard 205-horsepower SUBARU BOXER® engine helps you race past the Mazda Miata, while up to 33 highway mpg means the BRZ mpg ratings top that of the Mustang and Toyota 86. 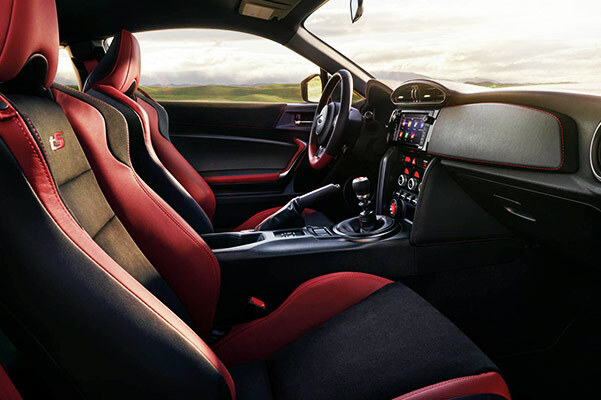 Plus, the 2018 Subaru BRZ sports car comes with standard sport-tuned suspension with limited-slip differential and other performance features that include available Brembo® brakes, SACHS® shock absorbers, STI springs and more. 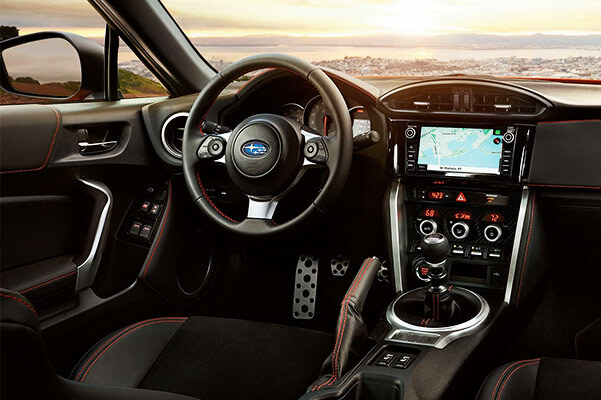 Move into the Subaru BRZ interior and you'll find a wealth of amenities that range from the standard SUBARU STARLINK™ Multimedia to optional Alcantara®/leather-trimmed upholstery with red bolsters and accent stitching. Want to learn more about the 2018 Subaru BRZ Premium or BRZ Limited? Curious to see how the 2018 Subaru BRZ price compares to the competition? Get all these answers and more by shopping at McKenna Subaru. Come buy or lease a new 2018 BRZ in Orange County, CA!